← “On Your Feet!” Will have You Dancing in the Aisle at DPAC! 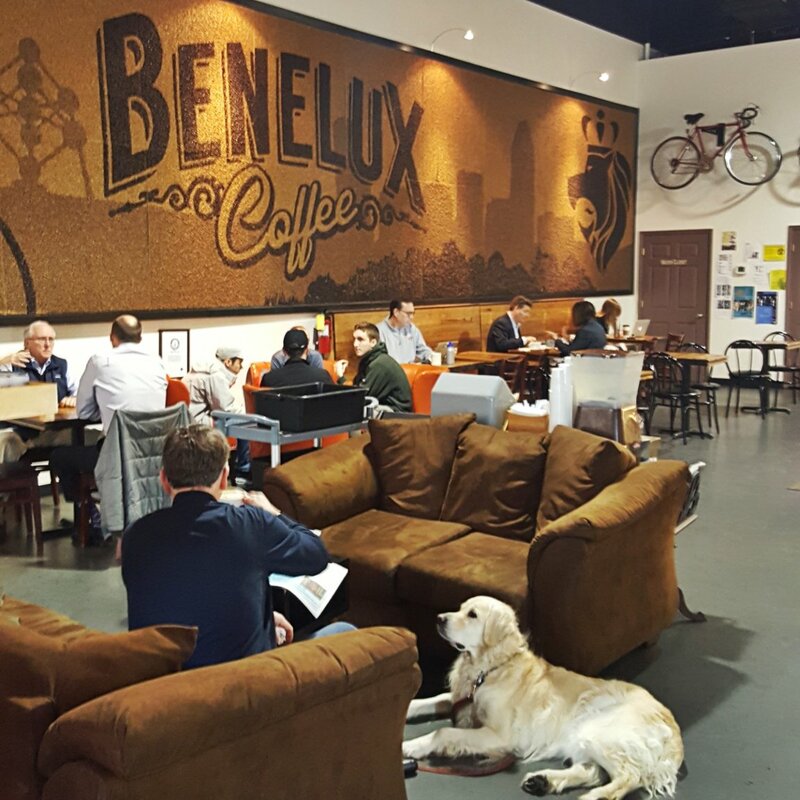 Benelux Coffee is a nice local coffee shop located in the Cameron Village area of Raleigh along Oberlin Road. It’s a spacious cafe with lots of seating making it perfect for meeting friends or just lounging around nursing a hot mug of coffee on a quiet morning in the Oak City. They roast their own coffee beans and offer a full menu of coffee, espresso, and cold brew drinks. They also have baked goods and Belgian Waffles. One thing I really like about this shop is they offer one free refill on their drip coffee. Next time you are over in Cameron Village check them out!